The stars of Harry Potter grew up in front of the cameras, filming eight movies over the course of a decade. There were bound to be some on-set romances and it looks like Rupert Grint - who played Ron Weasley - has let slip a previously secret fling that fans never knew about. 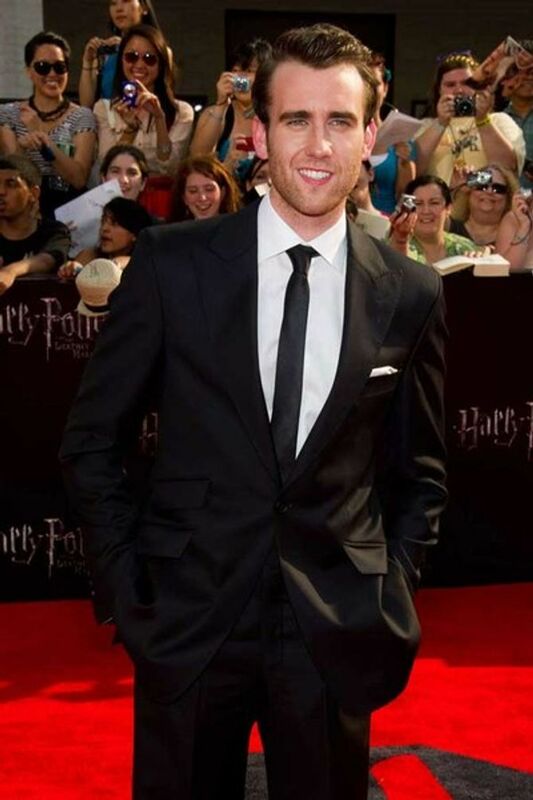 According to Rupert, his Harry Potter co-star Emma Watson - otherwise known as Hermione Granger - “had a thing” with Matthew Lewis, who was geeky outsider Neville Longbottom in the film franchise. The Mirror mentioned this little-known fact in an interview with Matthew and shocked the blushing 23-year-old into silence. After burying his head in his hands, the squirming actor said: “No comment...No comment. No, she’s great. Although he was cast for the Harry Potter films to play the unattractivene youth, Matthew has grown up from a geek into quite a heartthrob. At the premiere for the final Harry Potter instalment, the Deathly Hallows: Part 2, all anyone could talk about was the transformation of the Leeds-born star from the stuttering, chubby Neville into a bonafide hunk. But Matthew still struggles to see himself as remotely good looking and was embarrassed by all the compliments about his appearance. He told The Mirror: “I wasn’t attractive when I was growing up and I don’t think I am now. Matthew has graduated from a Harry Potter star into theatre thespian and he’s currently starring in West End play Our Boys, alongside Doctor Who star Arthur Darvill and Billie Piper’s husband Laurence Fox. He revealed that it was actually Alan Rickman who convinced him to tread the boards after the two had a heart-to-heart in his trailer while working on the last Harry Potter film. Although Alan played his nemesis Professor Snape in the saga, he was actually a very supportive father-figure to the young actor. “But at first the acting style was so different. I was shouting in everyone’s face rather than ‘projecting’. Emma Watson: "Rihanna is really normal and laid back"